Figures released by SQM Research this week have revealed that the number of Australian residential property sale listings fell during April in most capital cities. This has been attributed to agents experiencing a seasonal set back in listings due to the holidays. In contrast, Darwin recorded a modest rise in listings. Total online national residential listings fell during April 2015 to 347,966. This figure represents a fall of 0.1% when compared to the corresponding period of the previous year (April 2014). 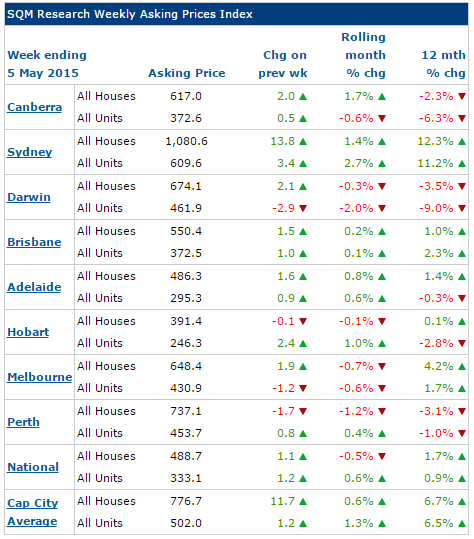 Sydney recorded the largest monthly decline in stock levels, falling by 11.2% during April 2015 to 19,648. Darwin recorded the highest monthly increase in stock levels of all the capital cities, increasing by 2.2% during the month to 2,008 and up a huge 42.7% year-on-year. Median Sydney asking prices continue to remain steady during April 2015, with the current asking price for a house sitting at $1,080,000 and $609,600 for units. Nationally, the number of listed properties fell to 347,966 in April 2015, falling 2.8% from March 2015, with the number of listings down 0.1% from a year earlier. Sydney and to a lesser extent Canberra recorded the heaviest monthly falls, as a result weighing down the national average. Year-on-year results indicate that Sydney, Melbourne, and Hobart experienced excessive yearly falls. Sydney soon followed with listings down 13.7% from this time last year. Hobart also recorded a fall of 8.4%. 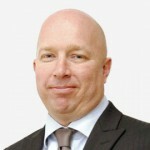 Canberra’s downturn appears to be over with year-on-year figures showing a modest change of 4.6%. We are recording some large falls in listings particularly in Sydney and now Melbourne. In these cities there is no question right now that agents would be desperate for new listings. 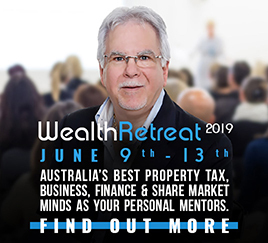 However there is the contrast where in Perth and Darwin, the markets there are clearly in a downturn with too much supply and not enough demand. These numbers clearly illustrate there is no national housing boom. But clearly, the Sydney market has become the ‘problem child’ for the RBA and it looks like Melbourne is now heading that way as well. Asking prices in Sydney rose again, with a monthly rise of 1.4% for houses and 2.7% for units. The median asking price for a house has now reached $1,080,000 while the median unit in Sydney is now advertised at $609,600, according to SQM Research. Melbourne recorded a surge in asking prices with a rise of 4.2% for houses, and 1.7% for units. In contrast, median asking house prices in Darwin continue to fall with year-on-year comparison showing a 12 month decline of 3.5%. 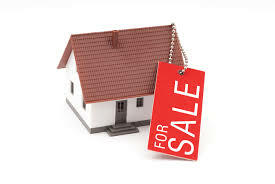 Perth also recorded house asking price declines in the month of 3.1%.